Carrie is an instructor for the Maddie's® Lifesaving Academy. 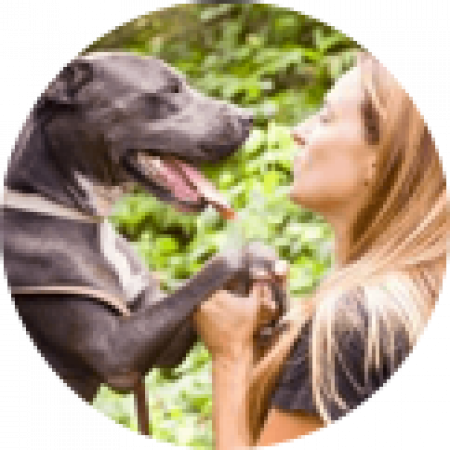 Before teaching the Austin No Kill Model to students, she began volunteering for APA! in 2011, joined the staff in 2012 as a Dog Matchmaker, and moved onto the Dog Behavior Team in 2013. Her biggest role on the behavior team has been building the Canine Good Citizen (CGC) Ready program as well as developing APA! 's TOP Dog. The CGC Ready Program has cut the length of stay in half for our blocky headed type dogs. Carrie's focus in the Academy is to teach other shelters how to develop and maintain a CGC Ready Program in their respective shelters. In 2019, Carrie will be developing and taking part in teaching a Dog Volunteer Training Program Apprenticeship.